Loaded Linkspan in Shanghai, China for McGREGOR. TransProCon supervised the complicated stowage for this shipment in Shanghai and Rostock. The cargo was shifted in Rostock to a barge for the final leg to Gedser, Denmark. 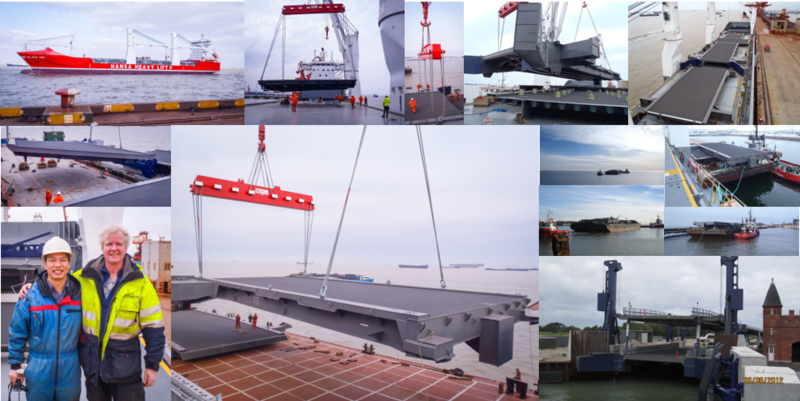 TransProCon successfully delivered the linkspan parts in time at Gedser and in the correct order for the assambly.